Okay, it's not Wednesday yet, I may have got too excited. But I really wanted to start this section of my blog! Warmer: Doodlebud: I got this warmer all the way back in 2012, and it's unfortunately no longer available. I loved the light pink with brown accent flowers, and I still really like it. But I'd like to upgrade to a more "grown-up" warmer. I'm looking into something more simple! This is in my bedroom. Scent description (by me): This is a vanilla scent - it smells exactly like vanilla cake, with a vanilla frosting, and sprinkles! It isn't overly sugary or sweet, but if you love vanilla, then you'll love this one. This scent will be discontinued after February 28th. Warmer: Sand Dollar (Plug in): I also picked this up back in 2012. 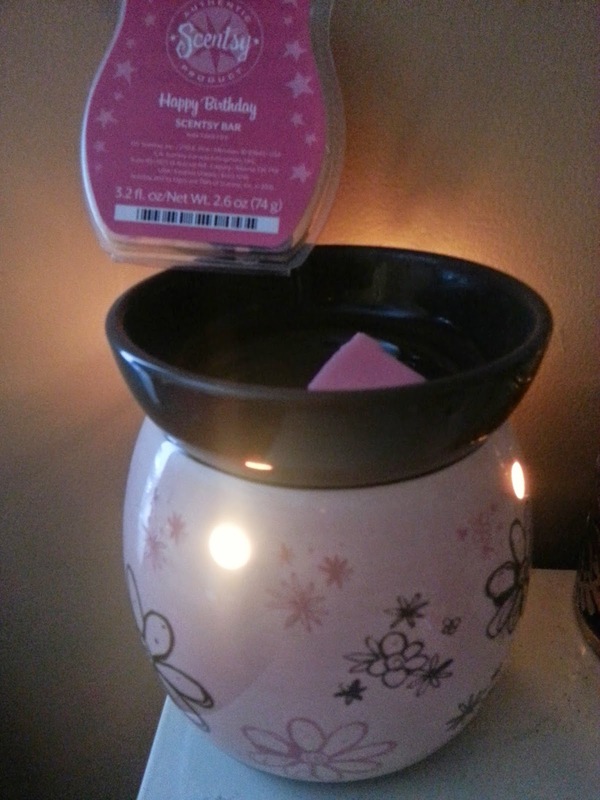 It was discontinued for awhile, but it has made its way back into the Scentsy shop. I love how simple this one is. The light colour of the warmer, with a soft sand dollar design. I purchased this specifically for a washroom, knowing that the colour would match with any paint colour. Scent description (by me): This is an interesting scent. It's somewhat romantic, fruity and floral. It has notes of strawberries, champagne and flowers. I would classify it as a light spring scent - the floral is more pronounced to me, and then the berries. 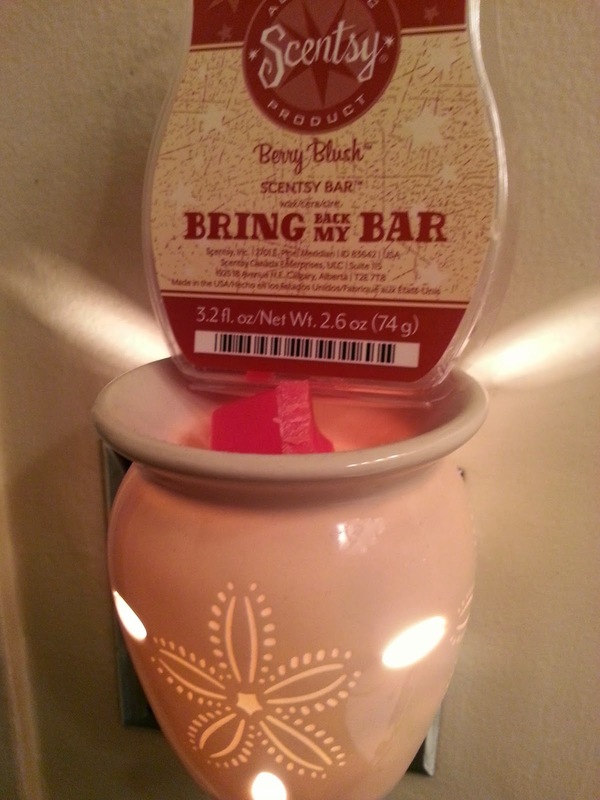 This was a bar from Scentsy's Bring Back My Bar promotion. So unfortunately it's no longer available but may come back in the future as a part of another BBMB voting/promotion time. When I update next time about "Warming Wednesday" I will only post the Scents. Since I only have those two warmers, it doesn't make sense to update every week about the same two.